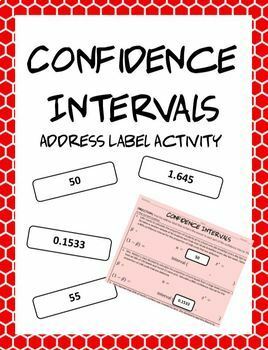 This activity is perfect for students just learning equations of confidence intervals! 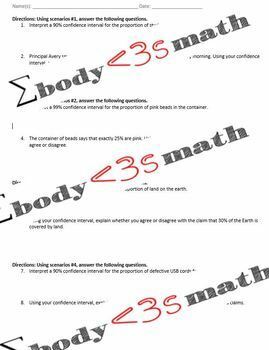 Students work through 4 word problems where they identify key confidence term items such as n, p-hat, and a z-score. They will use pre-printed address labels to stick the correct answer by its term. 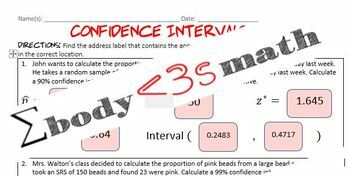 -1 follow-up page where students work on interpretation of confidence intervals as well as understanding what an interval means. You will need: Avery 18294 or similar. 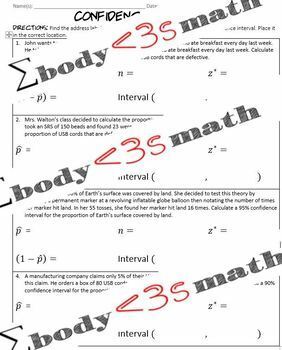 You can also print on regular printer paper and have students glue answers into the correct spot if you don't have labels.